NEW HOME IN A HURRY! The Ellington home, with open floor plan, features a First Floor Master bedroom, separate Dining Room, Library/Office, two-story ceiling in Entry Foyer & Family Room, Extended Kitchen/Breakfast/Laundry, 42”Cabinets, upgraded appliances and walk in pantry, Breakfast Room, main floor laundry and powder room. The second floor includes three bedrooms, hall bath, Jack & Jill bath and Extended Game Room. 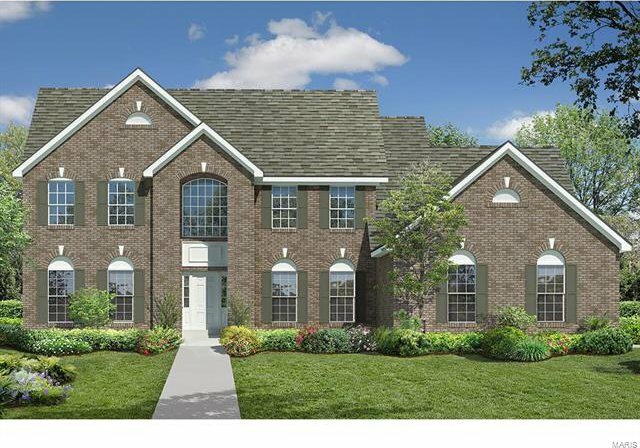 Additional features include a gas fireplace in Family Room, 6’ windows on first floor, 2 panel interior doors, 9’ ceilings on the first floor, fully sodded lawn w/landscaping, Sherwin Williams paint, and 3 car side entry garage. Virtual Tour is of former McBride Homes Model. OPTIONAL FEATURES ARE SHOWN. CONSULT WITH ON-SITE SALES FOR A LIST OF INCLUDED FEATURES.